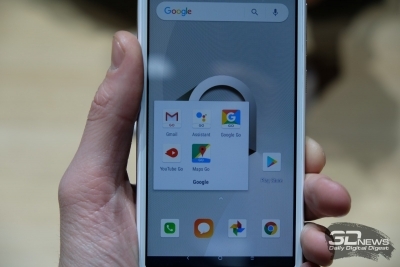 It would seem, nothing foretold changes and now at MWC, the company did not bring the clunky flagships and devices that can completely change the game. 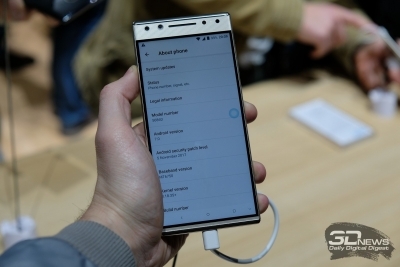 But TCL has made a surprise move – appointed presentation of your main brand is not even on day zero (like LG, Samsung, Huawei, ZTE and Nokia), and the “minus first”, when everyone was still getting ready. And the journalists are already in Barcelona, even on the Sabbath day, ready to work. 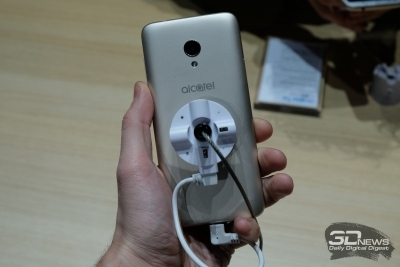 Well, great plan, TCL/Alcatel! 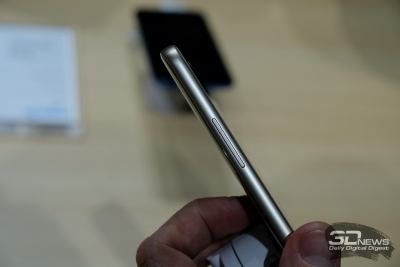 Thanks to him, we fill some space and write about smartphones of this brand. 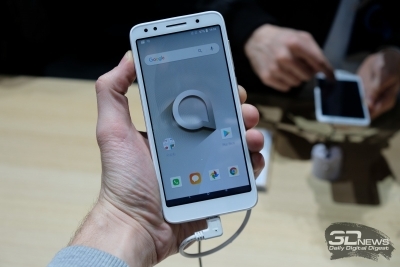 Will understand who will be in the near future to fight with Xiaomi, ZTE, BQ, Doogee, Huawei and other molders of opinion about how to save money on smartphone and not to be trapped. 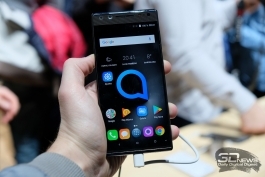 The first thing is to say that Alcatel helped navigation in its family: if the zoo is most certainly receding into the past (“Idols” are still in place), then at least there is logic in the budget lineup. 1, 3, 5 – as if we are talking about the revived Nokia; what to do, in the names of the phones is very difficult to truly be original. 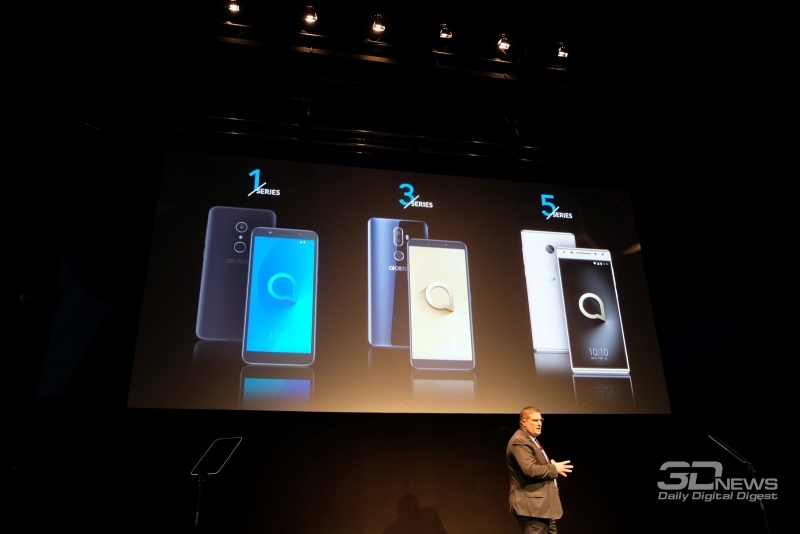 However, not all so is simple, avoiding complexities Alcatel are unable – digital stick indices and certain letters, and the logic is not easy to trace: the smaller model is called 1X, the middle tier consists of three devices – 3, 3V and 3X, but the older smartphone is named, not 5X as you would think, but just 5. Hell of a perfectionist. The entire series is finally claiming victory screen format 18:9 – they are all models, without exception, including ultrabudgetary younger. Frame the edges of the screen in many applications, can outweigh the benefits of placing larger display in the normal case. 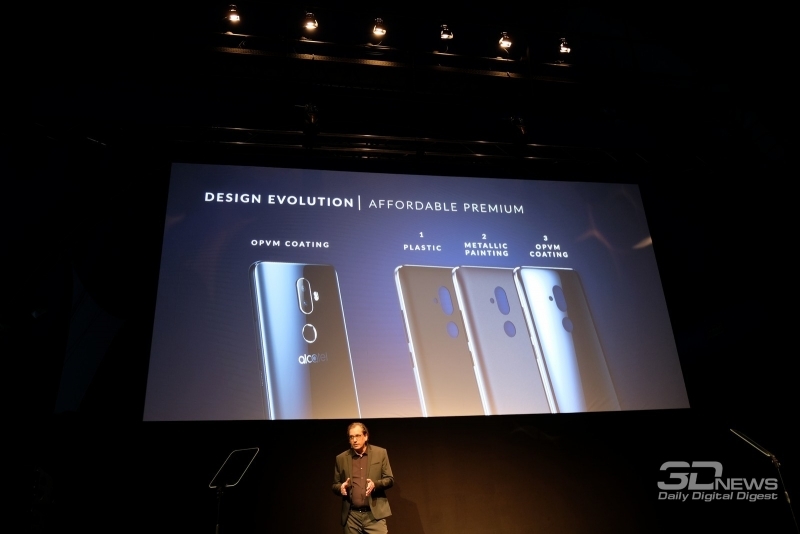 It is worth saying that the presentation made a special emphasis on application in the creation of smartphone LCD screens expertise in the development of TCL TVs – however, too seriously to such statements, I would take did not, hardly any significant impact on the quality settings. 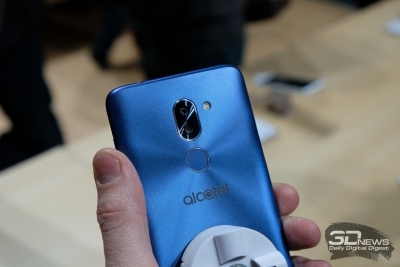 At the same time to another trend, which seemed like an avalanche has covered the market, the fashion for dual camera modules, the Alcatel reacted more cool: these cameras are not on all smartphones, and the older model index 5 received this only as a front. It’s time to talk about specific models. 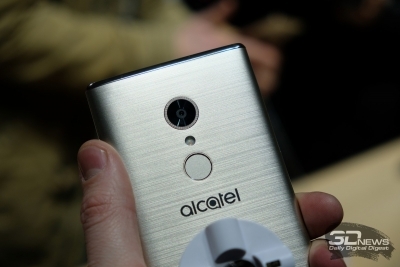 Let’s start with the Junior – 1 Alcatel. It in spite of its budget, perhaps the most interesting in the family. The fact is that the world’s first smartphone running Android 8.0 Oreo Go. 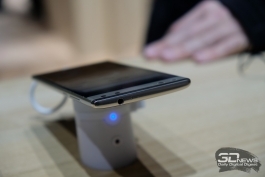 It is specially designed for smartphones with low memory and operational (up to 1 GB), and non-volatile. The operating system is optimized and undemanding on the hardware and takes up much less space on the drive than the usual “robot”, leaving the user space for personal use. Also on it pre-installed simplified (and accelerated) version of the YouTube apps Go Go Gmail or Google Assistant Go, and Google Play added a special section with optimized apps. 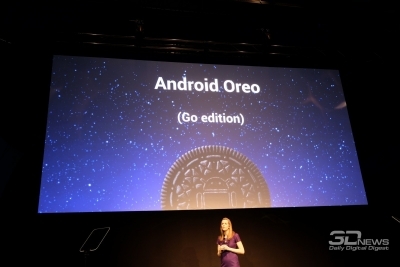 Thus nobody forbids to put Android on Go any app – but for their work on weak smartphones Google is not responding. To be honest, a great initiative. Really appreciate it fully at the presentation, I could not, because to understand something in the app for a few minutes familiarization with the apparatus, but in theory it sounds very good. 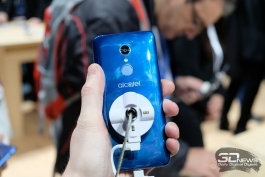 Alcatel 1X is a compact smartphone with 5.3-inch display format 18:9 and resolution of 960 × 480, a single camera with a resolution of 8 megapixels (frontalka – 5 megapixels) and a plastic housing with soft-touch surface. Processor – Mediatek MT6739 with four cores operating with a clock frequency of 1.3 GHz. 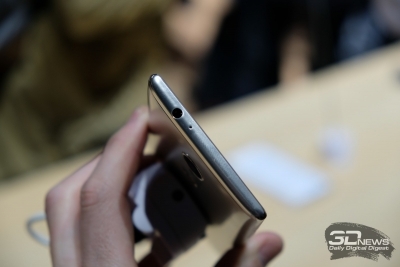 The smartphone has 16 GB flash memory and 1 GB of RAM. Battery at 2460 mAh. he will be released in April for the price of 6 490 rubles and will be available in three color options: dark grey, dark blue and Golden. 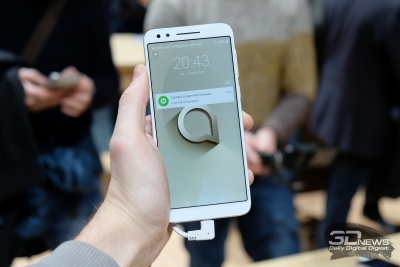 And Yes, important correction – in Russia, this smartphone will be released on Android here. Go yet we did not appear. 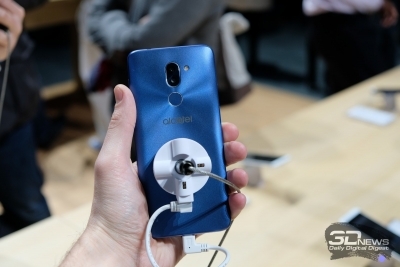 In addition, will be on sale and devoid of LTE module (3G only) model 1 AlcatelC – but in a metal case and for the price of 5 990 rubles. It, by the way, the presentation was not, and the scene wasn’t told about it. The middle class consists, as I said above, of the three models – 3, 3V and 3X. They have installed the normal Android is not a “simplified” and, moreover, it is not the latest version — 7.0 Nougat. All three models are characterized by the use already not soft-touch plastic, and glossy panels which look great exactly to the moment when you first take the smartphone in hand. Photographing them was such a misery to scrub fingerprints almost completely failed. 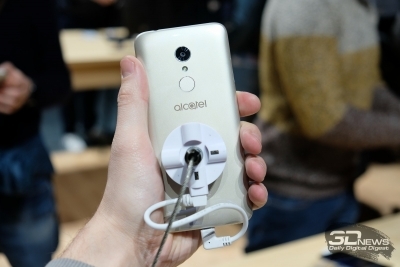 Particularly outstanding in this respect – Alcatel 3V Golden color. 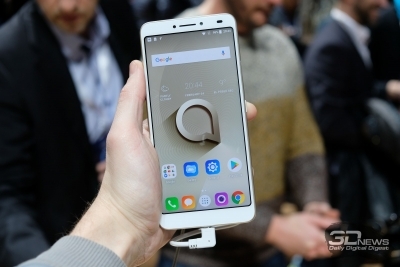 This is a nominee for the title of the brand of the smartphone in history, and get to know him personally – he will be released in Russia at a price of 10 990 rubles. 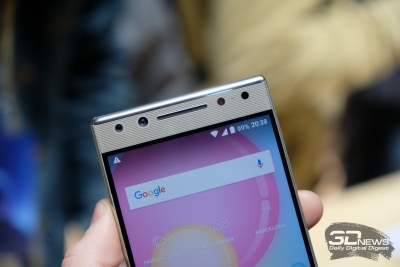 Important point – it has a 6-inch screen resolution of 2160 × 1080 pixels and dual camera. 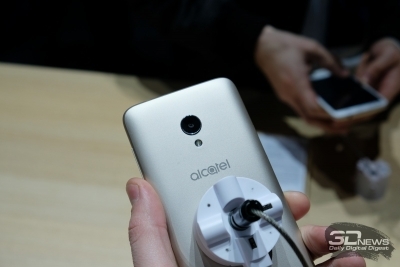 But I will be Alcatel Alcatel 3 and 3X. 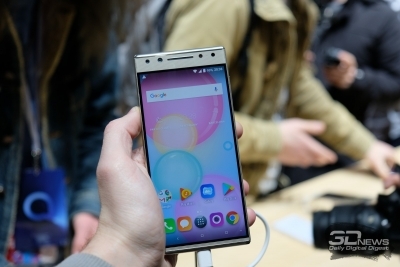 Both are equipped with fingerprint scanners and the function of the unlock with face recognition – as suddenly it became clear, it does not require a special sensor, rather the usual camera and software. 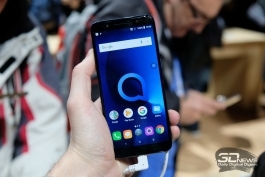 Characteristics Alcatel 3: 5.5-inch display of 1440 × 720, pretty fresh MT6739 Mediatek chip with four cores ARM Cortex-A53, running at a clock frequency of 1.5 GHz, 13-megapixel main camera and 5-megapixel front, 16 + 2 GB of memory, battery capacity of 3000 mA·h the Smartphone will go on sale in the second quarter of 2018 at the price of 8 990 rubles in two colors: black and blue. 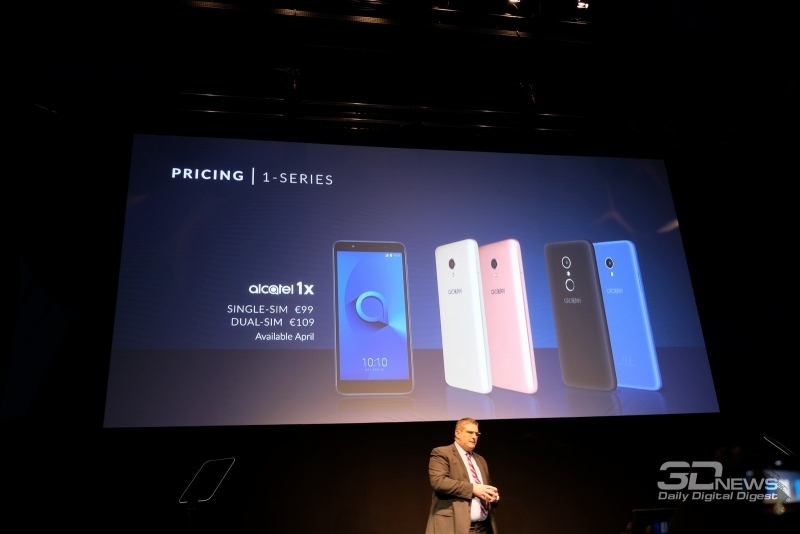 Alcatel 3X stands for a thousand more offers for the money has a 5.7-inch screen of the same resolution, dual camera, where the same 13-megapixel module attached an additional 5-megapixel with an angle coverage of 120 degrees, and more memory: 32 GB non-volatile and 3 GB of RAM. Colors, too, two: black and blue metallic. 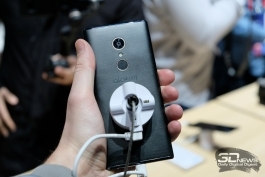 Alcatel 5 deprived of any version is a single “flagship” of this line. 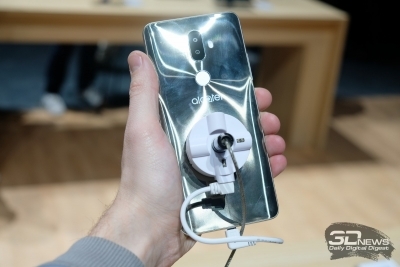 Its body is made with application of metal spraying, but made of plastic – the chief designer of Alcatel boasted that they managed to make it feel more expensive than it actually is. 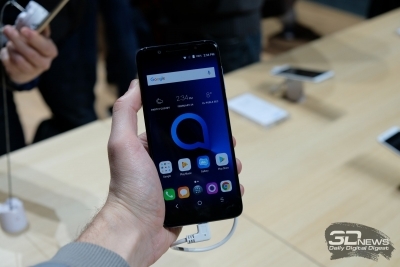 But in reality this is not true: Alcatel 5 looks really solid, but as an expensive thing not perceived is very light and feels pretty flimsy. 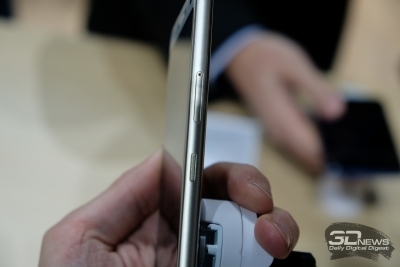 Just for its price (12 990 rubles) offers a variety of all-metal smartphones that produce a more impressive impression. 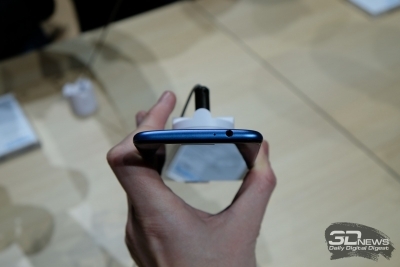 It is the same as the “Troika”, has a built-in fingerprint scanner, and face detection. The scanner, by the way, not only unlocks the screen but can duplicate the shutter button in selfie mode or can be programmed to launch any application. 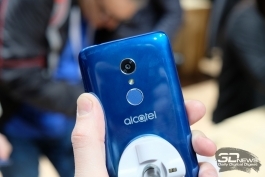 As I mentioned, Alcatel 5 uses a single rear camera (12 megapixel) and dual front, where the main module is 13 MP combined with wide angle (120 degrees) 5 MP, which is useful for group selfies. Platform – MT6750 c Mediatek eight cores ARM Cortex-A53 with a clock frequency of 1.5 GHz. The screen is 5.7-domowy with a resolution of 1440 × 720. Memory – 32GB flash and 3GB RAM. 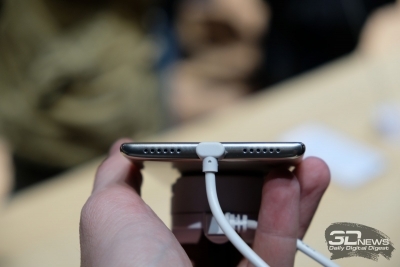 Battery 3000 mA·h, USB Type-C (the other new products — microUSB) and a function of fast charging. 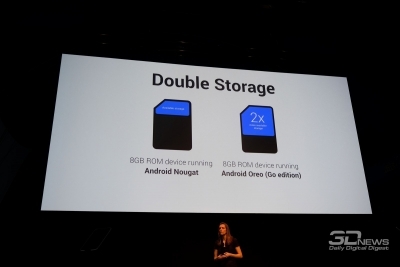 The operating system is also Android Nougat. 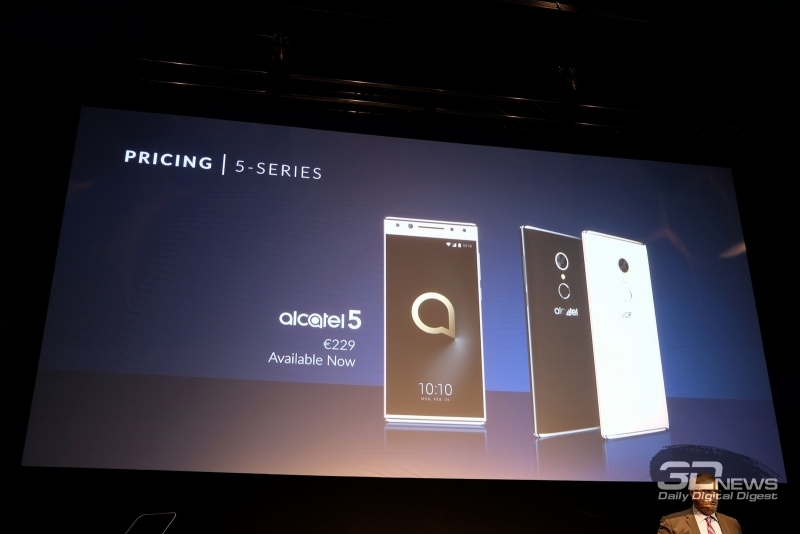 Selling Alcatel 5 will arrive in March and will be available in two color options: metallic black and metallic gold.